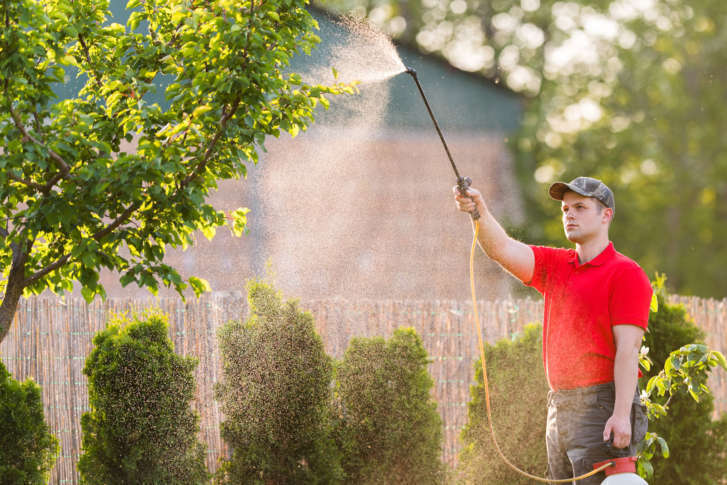 A judge found that a Montgomery County law barring homeowners and landscapers from using certain pesticides on private property was pre-empted by state law. WASHINGTON — A Montgomery County Circuit Court Judge has struck down a pesticide ban that would have gone into effect in January. Judge Terrence McGann found that the legislation barring homeowners and landscapers from using certain pesticides on private property was pre-empted by state law. The county passed the ban in 2015. Montgomery County Council member George Leventhal, who worked to enact the ban, said he was “very disappointed” with the judge’s ruling. Seth Grimes, an activist and former Takoma Park council member who supports the ban, was in the courtroom Thursday when Judge McGann issued his ruling. “Frankly, we were quite angry,” Grimes said. Takoma Park enacted a pesticide ban in 2013 that Grimes said has been successful. He said state law doesn’t do enough to protect residents. John Austin, the vice president of Green Gardens Inc. in Clarksburg, was pleased with the judge’s ruling. He pointed out the use of pesticides is already regulated at the state and federal level, and agreed with the judge that the county law was an overreach. He said the legislation was poorly drafted and would have led to confusion about which pesticides could be used. “It was pretty obvious to thinking people that this was not smart,” he said. He added that lawn care firms try to use chemicals sparingly. Several lawn care companies testified in opposition to the bill back in 2015. They said it would have a negative impact on their businesses and that they followed federal and state regulations regarding the use and application of pesticides. The county council passed the legislation by a 6-3 vote in 2015, but Montgomery County Executive Ike Leggett didn’t sign the bill citing concerns that it was open to legal challenge. Montgomery County could still appeal the ruling. This article was updated with additional quotes from John Austin that came in after this story was originally published.